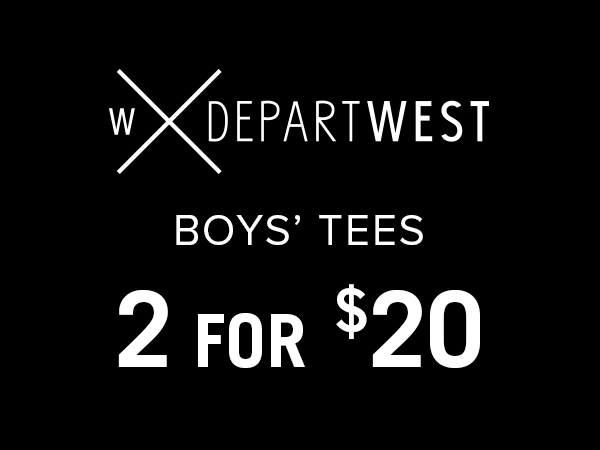 Purchase two select Boys' Departwest Tees for $20.00. Includes sale styles. Best deal reflected in cart. Available in-store and on buckle.com. While supplies last. Specials cannot be combined. Online U.S. Guests only.